Thanks to our partner at Petmate for sharing these great cold weather tips and products for our pets. Dogs, like people, do get cooped up when they are in the house too much. Our Chloe was recently put on a diet to shed a few pounds so this is a good excuse to get both of us outside and active, even if it’s cold. However, the Cold weather, ice and snow make it hard to maintain our goal to stay physical, but when your pets are moving and active, they are happier and less agitated from being cooped up inside. Here are some tips and tools from our partner, Petmate, on how to stay warm and stay active – indoors and out – to help your pet have a healthier and happier winter. 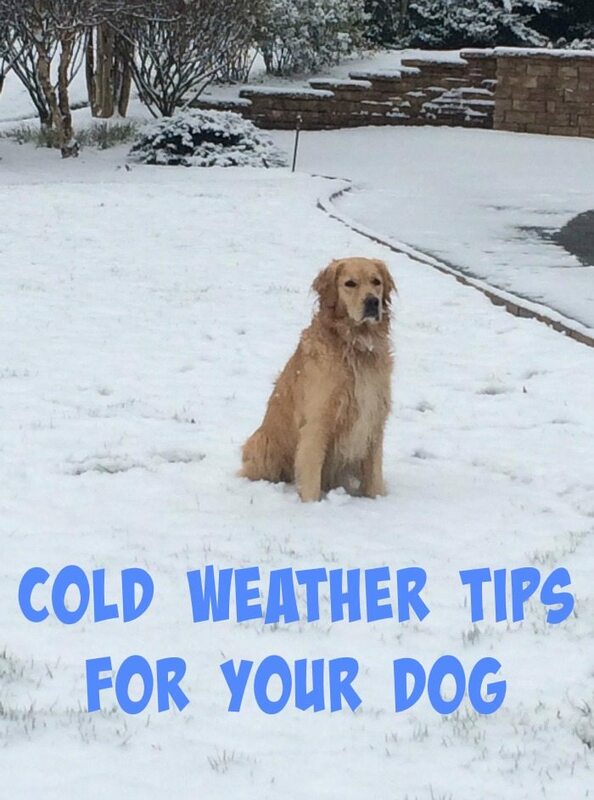 Provide them with extra heat indoors – If you winters are mild, it is ok to have them outside in the winter, Most dogs with healthy skin have an ability to insulate themselves as their fur protects them from the cold and heat. Smaller dogs have a larger surface area per body weight, therefore allowing them to lose more body heat. Like a good doggy sweater, you should provide them with extra warmth during the winter months. Petmate’s Shearling Dig & Burrow beds with heat-reflecting Mylar® technology to warm pets without electricity, are great options especially at night. Big and small dogs will enjoy the added warmth! Indoor Fun and Games – Let’s face it, once it hits below zero I dread going outside for a walk. Cold and snow mean less time outdoors for active play, so take the activity inside with fun indoor play – like Chuckit! Dogs love to be mentally challenged, too. A game of Hide and Seek with a favorite toy or treat gets dogs on their feet and helps pet parents engage with them. Chloe already loves her Chuckit! Toys so I am thrilled to find ones that you can use indoors. Stay noticed at night – If it is warm enough outside, fresh air is always a great thing but there are two important things to consider. First, be aware of salt on the pavement as it can harm dog’s paws. Make sure you are noticed by cars or other traffic. 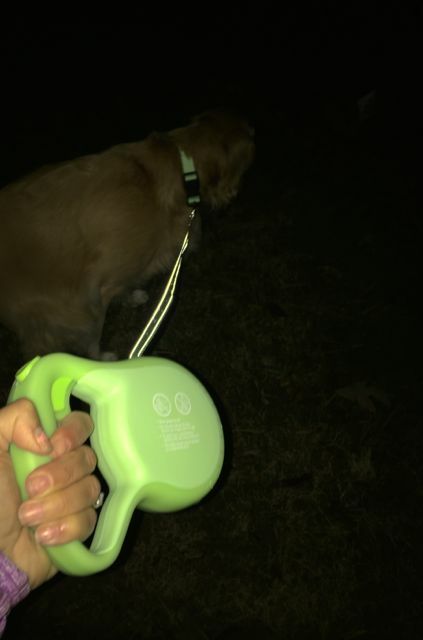 Maxglow® Glow in the Dark Collars and Leashes are great for providing that extra light to have a nice, quick and safe walk with your pet. Provide shelter from the elements -With the looming snow hitting most of the United States, I have seen pictures pop up on Facebook about leaving your pets out in the cold. Some counties have even passed laws to fine people who are caught with their dogs unattended outside in extreme weather. If you have to leave your dog outside during the day they must have a place to go to be protected from the wind. Even worse than the temperature is the wind chill. Shelters provide excellent protection from the elements. Pets should be kept inside during the night to avoid extreme temperatures. Keep stress levels down – During the winter months, people may have more guests over for indoor activities and entertainment. If your pet is cooped up in the house for too long, they can easily get wound up with guests. Reduce their stress levels and keep them engaged with the indoor solo play toys such as JW Megalast Glow toys. Before sending your dog outside for the day, think twice as to whether you would want to be sitting out there for hours, even with a fur coat on. Live in a warmer climate, be sure to check out our Tips for Keeping your Dogs safe in the Summer. 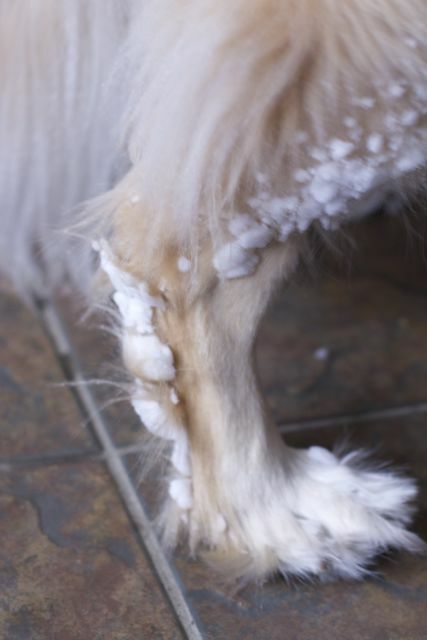 Remove the ice balls off your pets paws – This was my pup after just 20 minutes in the snow. By the end of our walk she was limping. Be sure to take a break from a walk or playtime to help your pet take off these painful balls of ice. 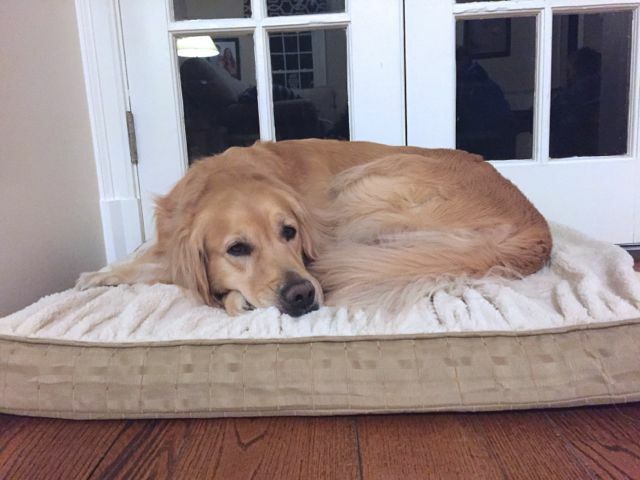 What other cold weather tips do you have for your pets? These are great tips. It doesn’t snow where we live but good to know! We do not own dogs but my BFF does and when we go on winter trips to the Colorado mountains it is really important to see these tips. It gets so cold!! Yes we are getting swamped now with snow and our pup kept stopping to eat them off..